Former Union Minister and Congress MP Shashi Tharoor on Thursday released a book penned by a 16-year-old girl, at a function in Thiruvanathapuram. Former Union Minister and Congress MP Shashi Tharoor on Thursday released a book penned by a 16-year-old girl, at a function in Thiruvanathapura. Tharoor launched the book titled ‘Refuge,’ which is a collection of English poems written by Jasmin Naur Hafiz, a 12th grade student. Speaking on the occasion, Tharoor mentioned about the sufferings of thousands of people who have become refugees in Syria, due to a civil war in that country. “I am impressed by the poems of Jasmin. 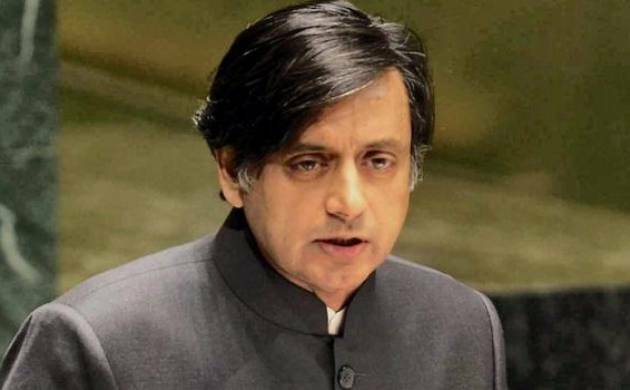 It is a rare quality in one so young to feel such compassionate concern for the flotsam and jetsam of humanity, the wretched and dispossessed refugees, the homeless, the unfortunates displaced by war and conflicts,” Tharoor said in his foreward to the book. Receiving a copy of the book, former state Chief Secretary, Babu Paul congratulated Jasmin and described her as a child prodigy. Jasmin is a humanities student at the St Thomas Central School in the city.